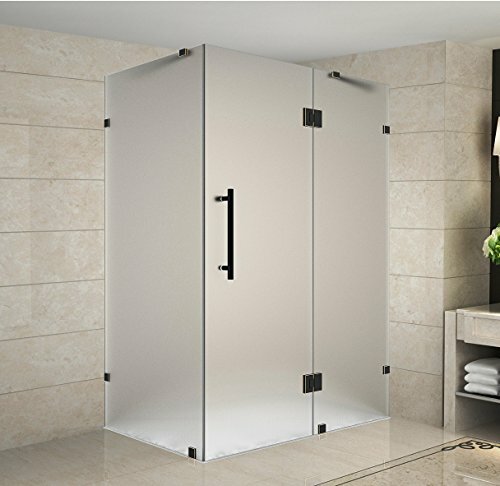 Aston Avalux Completely Frameless Shower Enclosure with Frosted Glass | Steam Shower - Bathroom Showers- Infrared Sauna - from SteamShowerDealer.com | SteamShowerDealer is your #1 source to buy designer and comfortable steam showers, steam spas and Infrared Saunas and accessories at discounted prices. 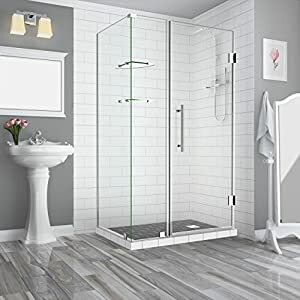 32 in x 30 in x 72 in completely frameless hinged shower enclosure. 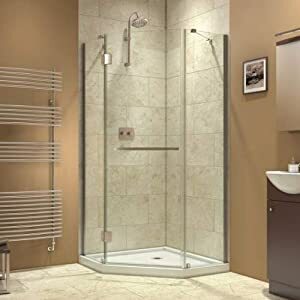 Full-length clear seals included to prevent leakage. 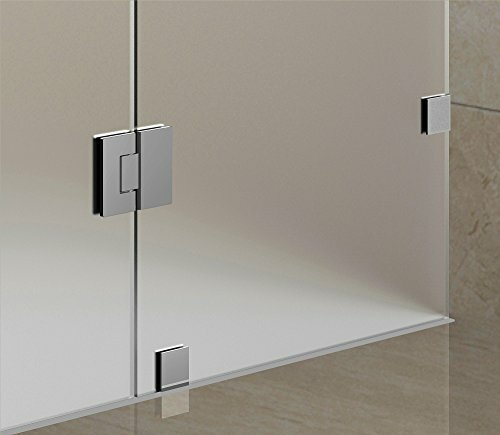 Brushed stainless steel constructed hardware with Chrome, Stainless steel or Oil Rubbed Bronze finish hardware. 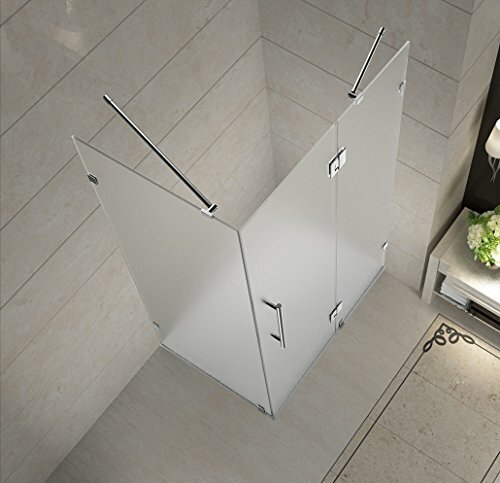 Aston World SEN987F-..-3230-10 Avalux 32 in x 30 in x 72 in Totally Frameless Frosted Glass Bathe Enclosure. To be had in chrome, Chrome steel and Oil Rubbed Bronze End. 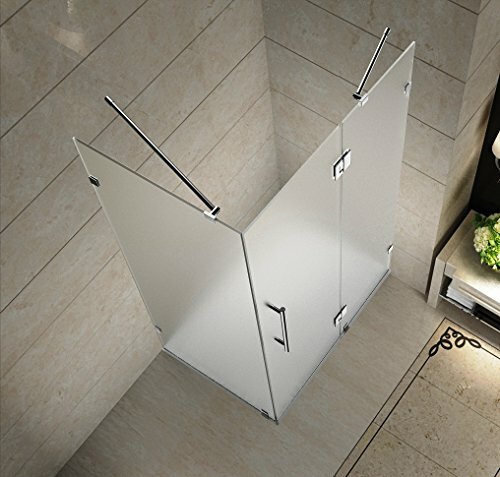 Side Fastened Panel: 30 in. Full-period transparent seals integrated to stop leakage. 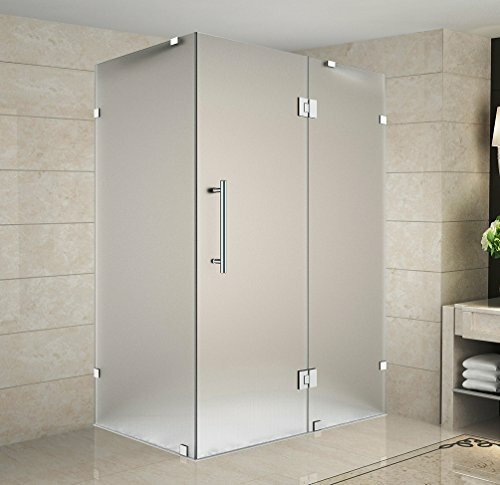 32 in x 30 in x 72 in Totally frameless hinged Bathe enclosure. Complete-period transparent seals integrated to stop leakage. 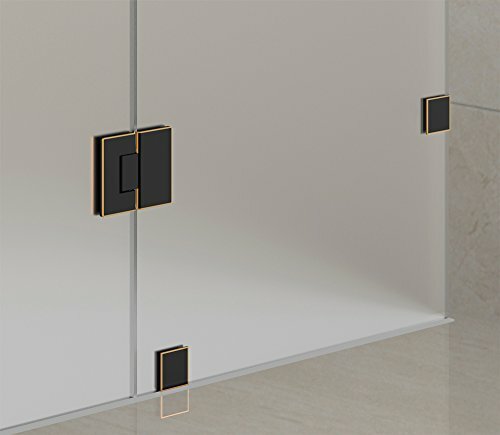 Brushed Chrome steel built hardware with Chrome, Chrome steel or Oil Rubbed Bronze End hardware. 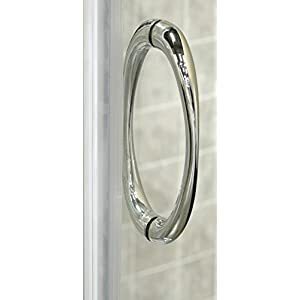 Top rate frosted three/eight” (10mm) tempered protection glass – ANSI Z97.1 qualified. Reversibly engineered for left or proper passed door set up. 32" x 30" x 72", 32" x 32" x 72", 32" x 34" x 72", 32" x 36" x 72", 32" x 38" x 72", 33" x 30" x 72", 33" x 32" x 72", 33" x 34" x 72", 33" x 36" x 72", 33" x 38" x 72", 34" x 30" x 72", 34" x 32" x 72", 34" x 34" x 72", 34" x 36" x 72", 34" x 38" x 72", 35" x 30" x 72", 35" x 32" x 72", 35" x 34" x 72", 35" x 36" x 72", 35" x 38" x 72", 36" x 30" x 72", 36" x 32" x 72", 36" x 34" x 72", 36" x 36" x 72", 36" x 38" x 72", 37" x 30" x 72", 37" x 32" x 72", 37" x 34" x 72", 37" x 36" x 72", 37" x 38" x 72", 38" x 30" x 72", 38" x 32" x 72", 38" x 34" x 72", 38" x 36" x 72", 38" x 38" x 72", 39" x 30" x 72", 39" x 32" x 72", 39" x 34" x 72", 39" x 36" x 72", 39" x 38" x 72", 40" x 30" x 72", 40" x 32" x 72", 40" x 34" x 72", 40" x 36" x 72", 40" x 38" x 72", 42" x 30" x 72", 42" x 32" x 72", 42" x 34" x 72", 42" x 36" x 72", 42" x 38" x 72", 48" x 30" x 72", 48" x 32" x 72", 48" x 34" x 72", 48" x 36" x 72", 48" x 38" x 72"